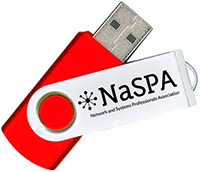 For years NaSPA published the NaSPA Network Support Magazine. Are you interested in resurrecting Network Support Magazine? Let us hear from you. Contact us at editor@naspa.online. Want More? Join NaSPA to see all of our content back to 1987. Full Voting Members can access the complete magazine and software archive.